The first satellite hosted by Natural8 has already played out on February 3rd, but two more are scheduled, for the 10th and 17th, giving players two more great opportunities to qualify for APT Taiwan. The first two satellites have commanded a buy in of $150 and guarantee at least one seat worth $1,100. The final satellite has not set the full details in stone yet but should involve similar numbers. *APT Taiwan 2019 Special Rebuy Satellite is held in benefit for DJ Coronacion. The upcoming APT event takes place between February 20th and March 3rd and marks the first time the Asia Poker Tour has visited Taiwan. This visit is being preceded by APT Japan which is running on the weekends of February 1st – 3rd and the 8th to the 11th. Nine events are going on through the course of APT Japan, with twenty-three scheduled for APT Taiwan, which will be hosted in Taipei. The event will have total guaranteed prizes of TWD 10,000,000 (US$324,000), making it the largest poker event ever hosted in Taiwan. The Main Event promises a TWD 5,000,000 guarantee and gets underway on February 21st. 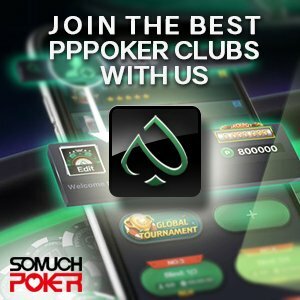 Somuchpoker is offering readers a great chance to pick up some free cash with a monthly $250 freeroll hosted on Natural8. The freeroll does not require players to make any sort of deposit. The tournament is open to those who create a new account on the site, with players being required to submit their username before the event to receive the password needed to enter. The last freeroll was on January 30th, and the next one is set to play out on February 27th. The field sizes are expected to be relatively small, giving participants a great chance of picking up some free cash.